"At 5% mortgage rates and with today's level of affordability, history shows that there is nothing in the way from having a homebuilding boom over the next ten years to satisfy this demographic demand." I found the claim contrary to everything I think I know, so I thought I'd lay out the counter argument. 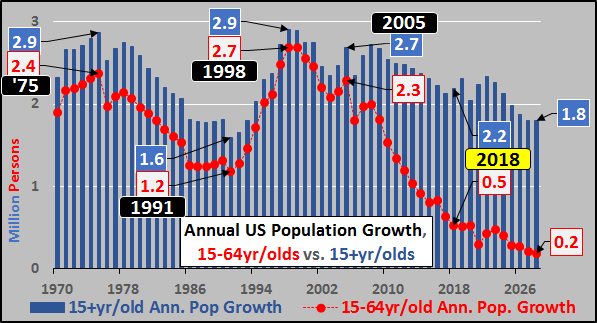 Noteworthy is that 75+yr/olds have only an 8% LFP rate but will make up over half of the total 65+yr/old population growth through 2030. 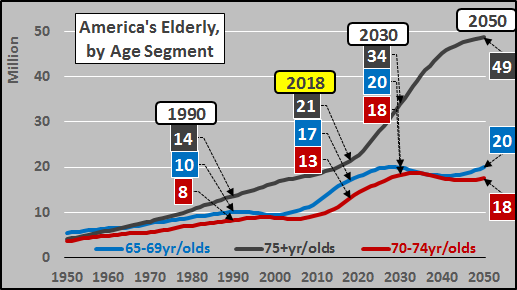 The next largest growth segment is among 70 to 74yr/olds with a 19% LFP rate, and the smallest increase is among the 65 to 69yr/olds with a 32% LFP. 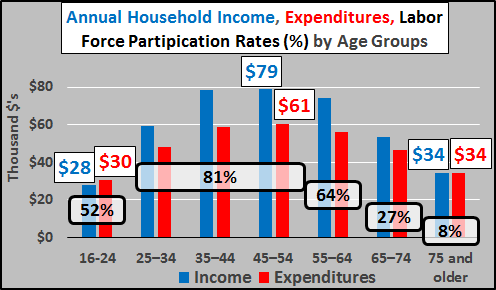 As an aside, 65+ year olds have the highest homeownership rates at 78% vs. 36% for those aged 15 to 34. So while the more affluent portion (5% to 20%?) of 65+yr/olds may be interested in a second home in the desert, the mountains, or beach...the majority already own and are eventually looking to downsize. Simply stated, nearly all the coming growth is among those that work the least, earn the least, spend the least, already own homes, and are more likely to downsize than buy a second home. 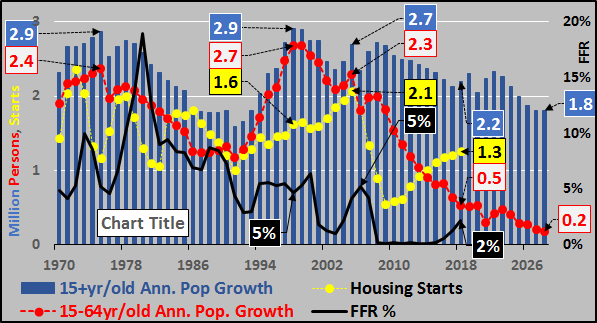 Contrary to the author of the article that inspired me, I contend that housing is in for another very rough decade (at the very least)... likely worse than the period during the GFC. The math is pretty straightforward on this one.